Click Add to Chrome and confirm Add extension to add it to your Gmail account. After adding Lightning for Gmail to Chrome and navigating to Gmail, to log in to Apto, enter your Apto credentials in the new pane displayed to the right of the Inbox. Skip if Lightning Sync not required. This step will enable automatic updates between Apto and Google Apps. *NOTE: You will need your business’ Google Apps Admin to perform certain steps. Review latest requirements for Lightning Sync. Set up Lightning Sync by going to Setup > Email > Lightning Sync > Sync Setup. Connect Salesforce to Email Server. You will need to connect Apto to Google via OAuth 2.0 for Google by selecting this option. You will need to add the Google API to Salesforce Remote Site Settings by searching “Remote Site Settings” in the Setup Search Bar and creating a new setting. Next, your Google Admin will need to Upload Your Google Private Key by preparing your Google Enterprise™ account to connect with Salesforce. That process generates a Google private key, which your Google Admin has to upload here. 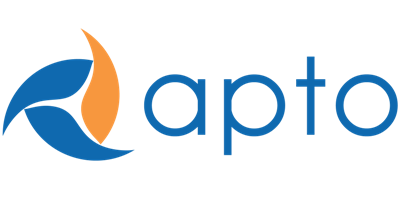 Your connection between your GSuite account and Apto should now be established. If requirements are met and issues still arise, Apto will need to coordinate ticket with Salesforce and Client. Setup Lightning Sync Configuration in Apto by going to Setup > … > Sync Configuration. Sync Settings - Contacts/Events will allow users to determine sync directions and further details regarding those objects. Assigned Users and Profiles are users or Profiles who will utilize this configuration when Assigned. After your Salesforce admin initiates contacts sync for you, Lightning Sync creates a group in Google Contacts called Salesforce Sync. Any contacts that have synced from Salesforce to Google are found in the Salesforce Sync group. Gmail accesses those contacts automatically when you attempt to email or chat with those contacts. Or if you’re set up to sync from Google Contacts to Salesforce, you can add Google Contacts to the Salesforce Sync group, and Lightning Sync starts syncing the contact with Salesforce during the next sync cycle. Don’t rename, move, or delete the Salesforce Sync group, or syncing between Salesforce and Google Contacts could stop.